Climate-Responsive house design, or Tropical design, takes into consideration the orientation of the lot — studying sun and wind patterns to maximize natural ventilation. The location of the windows also help in shading the house from hot afternoon sun, to help lessen electricity costs. House style is one of the important decisions to make before building a house. Whether you’re trying to go for an authentic experience with your design decision or you simply like the look of a style, whatever you go with will be a decision that you will have to live with for years to come. Even if the stylistic choice only comes down to just the façade of the house, any decision can make a lasting psychological effect on the homeowners. There are several factors to consider when choosing your house design. Let us help list them down for you as a guide. The first question to answer is if you already have a lot or not? If you already have a lot in a themed development, then the decision has been made for you. It is best to go for a theme that you are familiar with, or have dreamt of having. Is the style more Mediterranean? Modern? Filipino? American? If you’ve never been to a house that is American in style, it wouldn’t be advisable to choose a house that looks Spanish. Since you are meant to live in the house for decades, and even if you would get used to it in time, it is better if you have a home style that you can relate to. If you grew up in your grandparents’ house that is Filipino in style and had the most memorable childhood years, it can serve as an inspiration to your new home. If you like everything clean and minimal, then a modern style, Nordic, or Japanese-influenced style may work for you. Dig deep into your past and what you dream your house to be. What style do you imagine? You can also always browse through all the house designs we have on our website and take note of which ones you feel you can relate to or imagine living in. Before buying a lot, check on the subdivision’s restrictions in terms of setbacks. If the lot is outside a subdivision, setbacks are dictated by the building code, municipal or city ordinance. With the setbacks in place, you will realize you are left with less space than expected. You will then see if you have enough space for a carport for one or two cars, or if you have space for a porch. In most cases you would need to build up, having two levels or even three. This can really eat into your budget, especially if cars are important for your lifestyle. In some cases, homeowners have taken to installing expensive multi-level garages because it would be otherwise impossible to accommodate the number of cars they need. Lot size will also dictate whether or not you can have a substantial yard, open space, or expansion opportunities should your family or business needs change in the future. Sometimes, prospective homeowners will have to contend with an unusually-shaped lot to build their house on. This can preclude some stylistic choices. A Balinese-style compound may not be as appealing on a long narrow lot, for instance. Neither would an expansive American Prairie-school style building, without significant modifications. However, an irregular lot can be a blessing in disguise. Irregular lots often force house designs to be different and add a bit of personalization and a custom look to a space. Corner lots and triangular lots in particular often result in striking looking houses that would not otherwise be done on a regular rectangular lot. Just like setbacks, subdivisions dictate the height requirement for homes. They base this on the building code, ordinances, or the atmosphere they want to maintain in the subdivision. Most subdivisions would easily allow for two levels of a home. But if you wish to have three levels, this could dictate your roof style. Either you will have a flatter roof – making your design more modern, or you can employ dormer windows popular among American style homes. Faced with these restrictions, another possible option would be to build downwards. While basements are quite rare and expensive in the Philippines, these remain a viable option for situations where there are building height restrictions set in place. The specific location of a house can have a major impact on the design a house must have. For example, if it’s built under the slope of a hill or similar feature, the windows will likely need to face a certain way, and additional reinforcements to the slope may be necessary to prevent damage from landslides. Similarly, a house built near the ocean will need to have few components that are easily corroded by salt air. This means a house with plenty of wrought iron fittings and design details will need to have some treatments done to these in order to prevent premature wear. Door hinges, knobs, window sills and the like will need to be made from corrosion-resistant fixtures to allow the home to be consistently usable throughout its lifetime. A houses’ location will also determine the amount of sunlight, wind, and precipitation it receives. All of these factors will directly influence the types of sustainable design features that will necessary for a home. If it’s in a high or dry location, it may need a water tank and a pump or if it faces direct sunlight, it may need passive cooling features and different types of materials to keep operating costs down. The location of your house should also influence the styles you choose. Some styles are not always appropriate for some locations. A cutting-edge Asian Contemporary design might look less appealing than say a classic Mediterranean design in some beachfront locations. The specific qualities of the surrounding geography should always be taken into account when building a home. Features such as hills, sandy or muddy ground, or bodies of water involve design challenges that can influence the design and style of your home. The terrain and geography are especially important considerations in the Philippines. This is due to their ability to amplify the devastating effects of natural disasters on a home that would otherwise be safe in another location. A house located near a river or stream can be easily prone to flooding and will likely also need deeper foundations to be safe for long-term use. 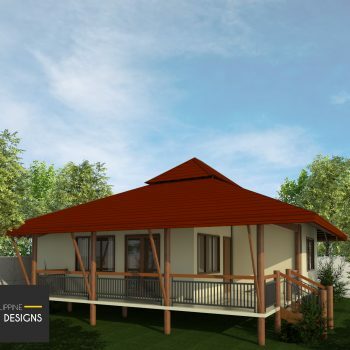 As it so happens, traditional Philippine house designs with strong foundations and elevated living spaces above and workspaces at ground level are well-suited for areas that are prone to flooding. Compare this with most Western-style homes where all important spaces are at ground level. The type of terrain also determines if more vertical or horizontal styles are practical. Rocky or hilly terrain can reduce the amount of land that you can actually build on without major investment. Slopes may also determine the location of certain features. A home may, for instance, need to put the parking space at the top level and living spaces below if there are practical limits to the geographical features. The climate year-round should also help determine the design and style of your home. While one might assume the Philippines only has one tropical climate, this is not exactly true in practical terms. Houses in Baguio and Tagaytay, for instance, are at much colder mountain zones compared to the larger urban centers in the country. The southernmost portions of the country also receive far more sunshine and less rainfall than people living further up north may expect, receiving far fewer typhoons than most other parts of the country. The difference in climate can dictate the presence or absence of different design features in a home. In Baguio, a fireplace or some form of modern central heating can be quite welcome, especially from October to February. In hotter climates, more cross-ventilation and passive cooling design elements are likewise more practical. Because certain features are more natural to certain styles than others, you’re more likely to see Danish-style modern homes with fireplaces in colder mountain zones and Mediterranean and traditional Filipino-style homes in the rest of the country. Likewise, you’re more likely to find homes with more reinforced masonry in typhoon-swept areas up north. You may also want to consider adding a method for storing rainwater for watering plants if the location has a limited amount of rainfall, or if you simply want to reduce your dependence on main water lines. Speaking of typhoons, about twenty typhoons appear in the ‘Philippine Area of Responsibility’ every year, with higher frequencies likely to come the future thanks to ongoing climate change trends. The Philippines is also home to 25 active volcanoes and lies within the Pacific Rim of Fire. Constantly at siege from tropical cyclones, earthquakes, and volcanic eruptions, home designs in the Philippines should be built with the idea that any of these natural disasters can strike at any moment. 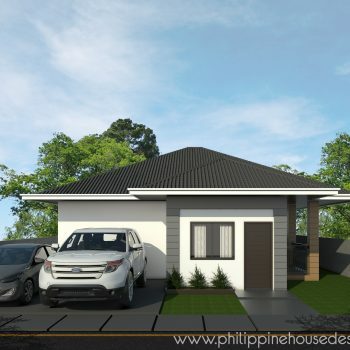 This is why even relatively humble homes in the Philippines tend to be built with reinforced concrete compared to the more typical wood construction of homes in other parts of the world. The presence of certain risk factors such as major fault lines should also be a cause for concern for homeowners. You may even want to consider building a home elsewhere if the property you’re checking out is close to geologic fault or a landslide-prone area. Ever wonder why there aren’t a lot of picket fences in Philippine homes? Unfortunately, this is because some communities are safer than others. A house in a gated community that has paid security or one built in an area with low crime rates can afford to avoid building unsightly, tall security barriers. In many instances, however, it is regrettably unavoidable in the Philippine setting. Different communities may also have different official or unofficial standards on the types of architectural styles you can build. For instance, people in a historic district may be displeased to see an ultra-modern or drab home in their midst and it can cause friction between you and your neighbors for years to come. To elaborate on the previous point, it’s jarring to see a house with a totally different style from that of the surrounding structures. Ultramodern houses next to classic bahay na bato structures may look uncomfortable to the eye and can reduce the overall prestige of an area. In some cases, this even has the potential to reduce property values, which no one wants. As styles tend to evolve rather slowly, this is rarely a problem if you’re building a house in an area where most of the houses are less than 30 years old, as chances are good that the buildings are contemporary enough to each other that most differences will be imperceptible. Much older though, and chances are the difference in styles gets more and more unsettling. In some cases, village and homeowner associations take steps to prevent buildings from being built in certain styles. In some parts of the country, there are also laws in place to force developers to build structures more in line with the heritage of the area. However, a homeowner does not have to completely give up on self-expression. It’s entirely possible to make most styles match with the surroundings with the savvy use of walls, localized design elements, as well as strategic landscaping and tree planting, which can help a house in a lot blend in more harmoniously with the rest of the environment the house sits in. A good architect should be able to help you help you create a dream home that passes local building codes as well as municipal or city ordinances. Nevertheless, these laws and regulations do present very real obstacles to the construction of many homes, though usually for good reason. These different laws and regulations have the potential to impact your house design by limiting how much of the land you can use, or how tall you can make your structure. There may also be limits on certain features, such as the types of styles you can use in certain areas. These regulations also govern the use of firewalls, electrical systems, and safety features. You definitely do not want to go against any of the regulations that directly impact the safety and longevity of your home. Laws and regulations around what you can or can’t do with your home’s design may seem annoying, but they’re normally intended for the safety of the occupants as well as to prevent issues with regards to a home’s sustainability. Speaking of sustainability, a home should ideally not put undue stress on the environment. This means adequate attention should be given to how the home disposes of its waste and it should be made of sturdy materials so that constant rebuilding and consumption of new materials is unnecessary. Sustainability in the current context, however, goes so much further than just taking care of the waste a home and its occupants can see being produced. A lot of the waste and pollution a home generated much further away in power plants creating energy to power different appliances. In the Philippine setting, refrigerators, water heaters, and air-conditioners have become necessities for living a good quality of life. However, these appliances tend to be among the biggest consumers of power in a household. As much of the power produced in the country comes from non-renewable fossil fuels, this can be problematic as far as a home’s carbon emissions are concerned. 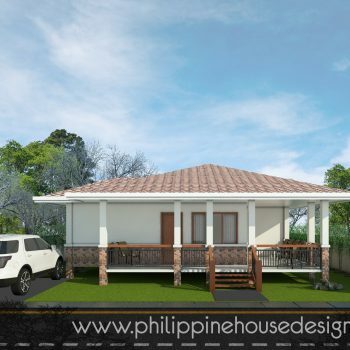 Thus, many of the methods involved in making a contemporary Philippine home more sustainable involve designing spaces to consume less energy. This can influence the look of a house to a huge extent. Sustainable house designs in the local context will often mean more windows for better circulation, skylights for reduced need for energy consumption during the day, and perhaps solar panels and batteries to allow a home to provide clean power for itself off the grid. It may also involve more passive cooling fixtures and extensive landscaping to provide shade and reduce energy consumption. While building a home integrating sustainable housing ideas might be more expensive and can deviate from a homeowner’s original vision and style, these homes tend to be much cheaper to run and maintain compared to conventional homes over time. This makes the sometimes higher initial costs of a contemporary sustainable home worth considering over a house design you might be otherwise set on. Different house styles tend to cost more. Some styles may require the use of more imported materials and specialized labor, as with the case of some revival styles that hark back to older times. The fact is, it may be difficult and more expensive to find the kind of skilled labor needed to execute some design features such as reliefs and classic detailing. Some materials that used to be easy to obtain generations ago may be prohibitively expensive or illegal to have today, as in the case of many types of hardwoods. While there’s no shortage of happy mediums and workarounds for those with comparatively modest budgets, those who want truly authentic revival styles that employ a lot of details that involve more craftsmanship should prepare to pay more. It’s not just older architectural styles that tend to be more expensive to execute. Cutting-edge contemporary homes may also be more expensive if they incorporate technologies that may not be easily obtainable or serviced locally. The cost of land and permits can also eat into your budget and keep you from building a home with the features you might want. This means it might be practical to build your home in a less expensive area if it’s still suited for your specific lifestyle. These are just immediate costs, however. Long-term costs should also be taken into account as well. The property you are building your house on may significantly change in value over time. There should also be some consideration for the cost of the house depending on whether or not you’re planning to stay in it long-term. Lastly, the build quality of your home and the maintenance costs of your property over time should also figure into your calculations before you start building your home. As mentioned earlier, there are significant costs involved in building houses with very specific kinds of styles. In many cases, the technology and a significant portion of the materials may need to be imported from overseas, with no real guarantee that they will always be executed to the homeowner’s satisfaction – unless they’re prepared to pay even more. Homes built with more established technologies and techniques, on the other hand, tend to be cheaper and usually take much less time for building contractors to execute as they will not have necessarily have to learn how to execute new techniques as they do them. This means that in the Philippine setting, conventional houses tend to be a lot cheaper compared to homes with much more unusual demands. A good construction and design team, however, should be able to find a way to make cutting-edge techniques and materials easily accessible for your home. 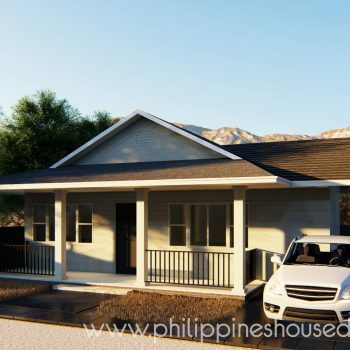 The ballpark estimate for the building time of an average two-story house in the Philippines is anywhere from 4-6 months. However, this is just the building time. Total time may take around 6-9 months. It’s also not unusual for the planning and preparation to take as long, if not longer. Depending on your project’s demands, the location of your plot, issues with the local community, and the ease of getting all the needed permits in place, it’s not uncommon for houses to run way behind schedule. Building projects may also take longer if the funds for the construction are not all in place, or if there are revisions to the house design in the field. New discoveries in the geology of your plot may also force some redesigns and delays or prevent you from having a house exactly like on the original plan. The specific location of your house may also be an issue. Apart from costing more, a house in an isolated place may take longer due to difficulties involved getting a construction crew and materials to the site. These delays can be further amplified by other complications to the house design. Nothing’s worse than building a house in an otherwise scenic location and being totally unable to see any of the scenery from the inside. If you worked hard and were finally able to build that dream home in the mountains, by the beach, or in the heart of a city, there’s simply nothing better than to enjoy the fruits of your labor while looking at the views outdoors. While this is not so important for some homeowners, a view of nature or a stunning cityscape can add immeasurable value and pleasure to the experience of owning a home. In many cases, it may mean that a home has to be built taller, perhaps with an extra floor or roof deck to make this possible. This will often mean some extra expense and additional design work will be needed. There may be also additional hurdles involved in getting that view. Some locations may prohibit the building of structures above a certain height, and there may obstructions around the house that are impractical to overcome, as in the case of houses in walled villages that are also in the middle of a central business district. In those cases, building higher may not provide any significant benefit in terms of providing a view. While the Philippines is often beset by torrential thunderstorms, floods, and typhoons, it tends to be quite hot and humid throughout most of the country for most days of the year. As the Philippines is a tropical country, attention should be given to how a house is able to handle the intense heat in the day the time as well as the humidity that tends to build up throughout the day. One answer for dealing with both issues at once is to design homes to be well-ventilated as well as possible so that they are less dependent on powered air-conditioning units for cooling living spaces or moving stagnant air. Building a well-ventilated house that requires only passive cooling, however, often means forgoing some features one might find desirable, such as fixed plate glass windows or lower ceilings – both of which can trap heat. These houses also often require a bit more space dedicated to ensuring that air flows throughout the structure. You’ll find many incredibly practical features for harnessing the wind in traditional houses like our indigenous bahay kubo and bahay na bato. The elevated main living spaces, high ceilings, and large windows allow fresh air to freely circulate, thus preventing the build-up of heat and humidity in a living space without the use of electricity. The wide eaves prevent direct sunlight from hitting the walls of the building, helping to cool down the structure even further. Other design features you might want to incorporate include concrete breeze blocks to block out the sun while preserving privacy and airflow, old-school ventanillas for use during the summer, and even a brise soleil over your windows to cut down direct radiation from the sun even further. Other things you can try are white painted surfaces to reflect heat, a turf roof or plaster walls further to insulate your home and keep cool air in while preventing the sun from baking the inside of your home. You can go even further by making sure there are enough shade trees on your property to ensure that the air temperature around your property stays even cooler. Depending on how far you want to go with these features, the design and style of your home can change dramatically. Thankfully, there’s no shortage of options for the homeowner who wants to run a cool, well-ventilated home. Keeping noise levels within your home down is necessary a relaxing atmosphere as well as for privacy and to help maintain good relations with your neighbors. Unfortunately, if you want a truly quiet home, that usually means your living spaces have to be sealed up to some degree, which defeats some of the purpose of having good ventilation throughout. However, one does not necessarily have to perfectly cut out all the noise from a living space for there to be an acceptable level of quiet. It’s usually enough to use strategic design and materials to prevent the excessive transmission of vibrations in and out of your home and prevent unwanted echoes from surfaces as well. Sound-killing insulation can be added in crawlspaces, between walls, and underneath wooden floors to prevent excessive vibration. Textured surfacing can be applied to some walls to prevent unpleasant high-pitched echoes from occurring and other acoustic solutions can be explored to allow a home to stay well-ventilated while still remaining relatively quiet. Sound can also be a major factor in designing homes intended to have entertainment centers, music rooms, or home studios. These spaces can be better sealed compared to the rest of the house and feature more “acoustically dead” walls to prevent echoes. Depending on the type of community around your future home, you may want to seriously consider integrating a wall or some other security system around your property. The catch is that a high wall can reduce light, airflow, and aesthetics in a space if not harmoniously integrated with the rest of the house design. However, a wall also offers many other design possibilities. A wall could also be strategically integrated with the rest of the house as an extra surface for plants, outdoor designs. It could also be a mount for some types of solar panels or other important features for your home. Under lifestyle, there are a few things to think about. How many are you in the family? Do you own a car or two? Will your children share a room? Will you have relatives sleeping over? Do you entertain guests? Do you need a dirty kitchen? It is best to reflect on how you usually run your life or plan to run your family. This will help you decide on how much space you need. A home should ideally be one that is pleasant to live in for decades, and perhaps centuries to come. However, life does go on, and there will likely be at least a few changes that will happen in your immediate neighborhood. Thus, it’s important to try to foresee what may happen in the immediate area in the near future and see if you can at least plan for it in your house’s design. Changes can also be internal as well. You should pick a design and style that will suit the lifestyle you expect to have for the next few decades. This means that you may want to build a larger home if you are expecting a family, or perhaps a larger garage and workspace if you plan to run a business out of it in the future. There are certainly a lot of things to consider before you build a new home. However, it’s necessary to at least consider these 21 factors before you embark on what might be one of the most fulfilling projects you will undergo in your life. With these in mind, choose among our design templates and see if any of them fit your style and lot. Send us a message if you have questions or need advice on what will fit your property.